Has it been 100 years already? UDON Entertainment is thrilled to welcome Mega Man Zero back to life with the release of MEGA MAN ZERO: OFFICIAL COMPLETE WORKS Hardcover Edition. The Mega Man Zero series is a fan-favorite Mega Man spin-off known for its exciting gameplay, stellar character designs, engaging story, and upgraded weaponry. MEGA MAN ZERO: OFFICIAL COMPLETE WORKS collects the unique artwork of the series, and is filled with character designs, concept sketches, location artwork, key visuals, item charts, creator interviews, and more! A must-have for all video game fans and inspired artists. With Zero as the hero, fans will not want to miss out on this essential Mega Man title. If June can’t get here soon enough, don’t fret Mega fans! 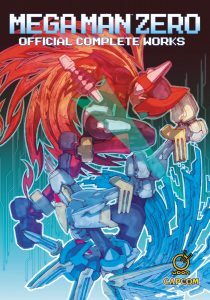 MEGA MAN: OFFICIAL COMPLETE WORKS and MEGA MAN X: OFFICIAL COMPLETE WORKS Hardcover Editions are available for purchase now! 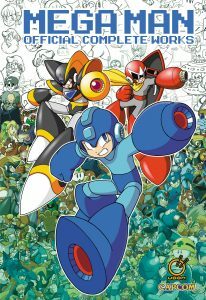 MEGA MAN: OFFICIAL COMPLETE WORKS is the ultimate collection of classic Mega Man game covers, character art, enemy and boss designs, rough concepts, tribute pieces, and much more! MEGA MAN: OFFICIAL COMPLETE WORKS covers the first 10 games in the classic Mega Man series, plus spin-offs, remakes, re-releases, and crossovers, all supported by a heaping amount of exclusive creator commentary. MEGA MAN X: OFFICIAL COMPLETE WORKS Hardcover Edition gives the same treatment to Mega Man’s even more futuristic successor, and covers all 8 core games and spinoffs from the Mega Man X series. 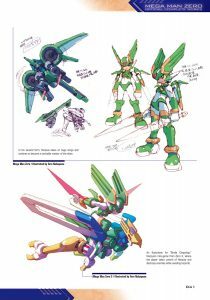 Fully equipped with concept art, game covers, character art, boss designs, sketches, and creator commentary, MEGA MAN X: OFFICIAL COMPLETE WORKS is a must have for every Mega Man fan.